Full-screen iPhone uses widely use gesture to wake up the screen, unlock the screen, Quick view notification from the lock screen or reply the message or chat. So here users are facing issues on iPhone X Touch Screen Doesn’t respond and iPhone X TouchScreen unresponsive that stuck on a specific app or auto shut down after update iOS. Sometimes the iPhone X Touch screen is not working properly in landscape mode (Game mode or View Map). Also, Swipe up to Open freeze on the lock screen and won’t open the lock. Same guide you can also follow for iPhone XS Max, iPhone XS, and iPhone XR. Honestly, Apple’s new iOS 12 has too many bugs that causing the issue for screen problem and stuck the screen. Use standard and verified screen protector that people used to resist scratches on screen. Some leggy screen protector’s chemical may be damage screen and decrease the sensitivity of screen over time. Quick Look: Best iPhone X Screen Protector. The app is not compatible with your iPhone X, for the specific app are you hesitating than you should contact app developer. Or Check for the Available app update in iPhone X app store. Home screen Stuck (Main Screen): Reset Home screen from settings, Settings > General > Reset > Reset Home Screen Layout. Internal iOS glitches can fix safely using Force restart or Soft restart/Reboot. Let’s know how to get out from stuck or freeze screen of your iPhone X. 1: Press and release volume up button. 2: Press and Release volume down button. 3: Press and Hold side button until you see the apple logo on the screen. This will erase all content and settings after that restore the latest backup on iPhone X.
Connect your iPhone X to iTunes using lightning cable, unlock your iPhone first and trust your device on PC or Mac. Find the device icon on iTunes > See the summary page with your iPhone details. Click on restore button, iTunes will say your device will erase all content and settings. Tap on Restore on a popup. Wait for a few minutes; your device will be restoring new iOS. After that, you can copy backup data to your iPhone using Restore back up. 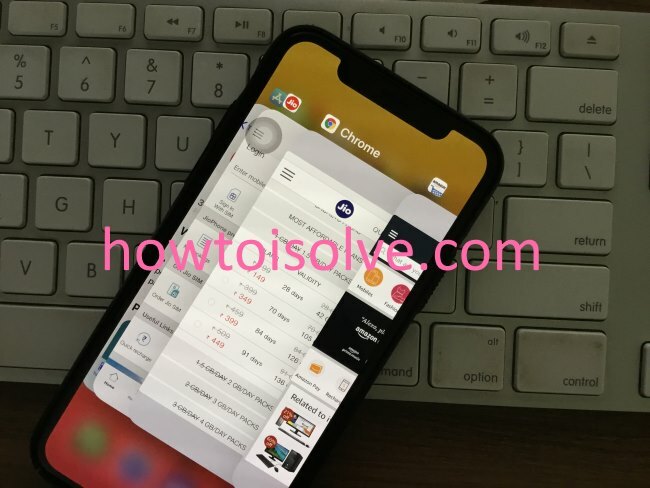 Apple Support will care your problem if the problem related to hardware from iPhone X touchscreen unresponsive after a drop. Ask for apple service center; they will troubleshoot the problem internally if your device is under warranty period.